Far West Athletic Trainers Association › Licensure…Get On Board California! With the recent push for access to an Athletic Trainer in youth sports, it is important for parents to know who they are trusting to watch over their children. 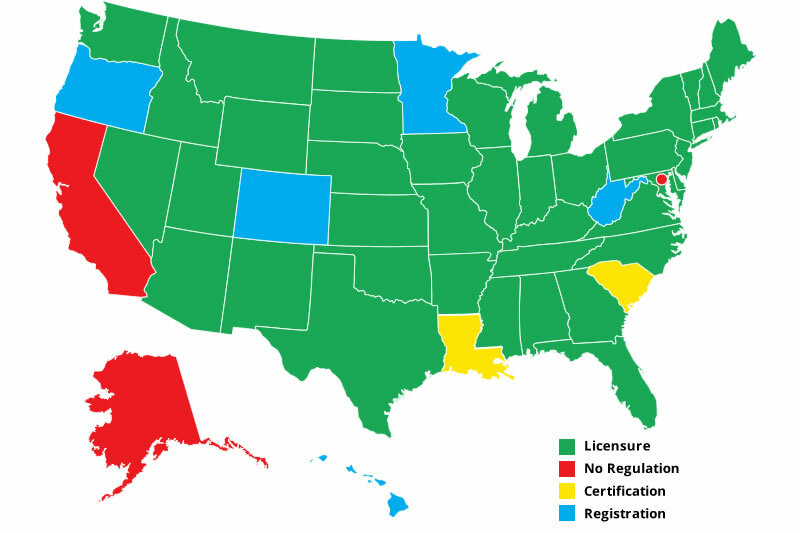 Is your state regulating the practice of Athletic Training? Licensure is important for the Profession. It not only recognizes those who are qualified to call themselves Athletic Trainers, but it prevents us from those posing as Athletic Trainers. In California, nothing is stopping a person from claiming to be an Athletic Trainer. These individuals might not have Board of Certification credentials or graduate from a CAATE accredited education program. This increases risk to patients and fails the Profession. State regulation not only protects patients, but it protects practitioners too! The Athletic Training scope of practice is defined by the Role Delineation Study, Educational Competencies, and Position Statements. Although each state’s practice act varies, guidance as to what is permitted within this scope of practice helps to shape clear expectations for clinicians. As a California native, I am very passionate about getting the current legislation passed. Athletics Trainers across the country, particularly those practicing in California should be pushing for AB 1890 “Athletic Trainers Practice Act.” The bill mandates that those practicing in the state meet specific qualifications. The bill is currently supported by Assembly Member Ed Chau (District 49) and needs further support before passing to the Senate. After completing my professional degree and becoming certified, I decided to continue my Post-Professional education at Indiana State University. Having not been exposed to licensure laws prior to my arrival, the process was new to me. And like all things with an application and fees, it can be a pain, but once I realized this was because Indiana supported my profession, I knew no matter how many documents I needed notarized or stamped, it was worth it. Licensure yields validation and respect for Athletic Trainers. I believe that Athletic Training in the state of California has definite potential for growth. As the most populated state, the need more Athletic Trainers in secondary schools needs to be a priority… a national priority. But until we embrace licensure… why would Athletic Trainers come for employment?